Dowell Middle School Band: 5th Grade Instrument Try-Out Day! 5th Grade Instrument Try-Out Day! You will leave knowing your 3 top choices and the 3 possible classes you could be placed in. We will publish the official class rosters in late April. May 6th from 5:00-7:00 - SAVE THIS DATE! This is when you will come to DMS to reserve your instrument and class supplies. 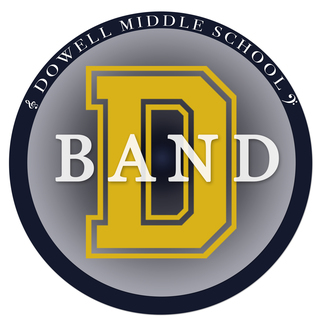 Congratulations on joining the award winning Dowell Band!